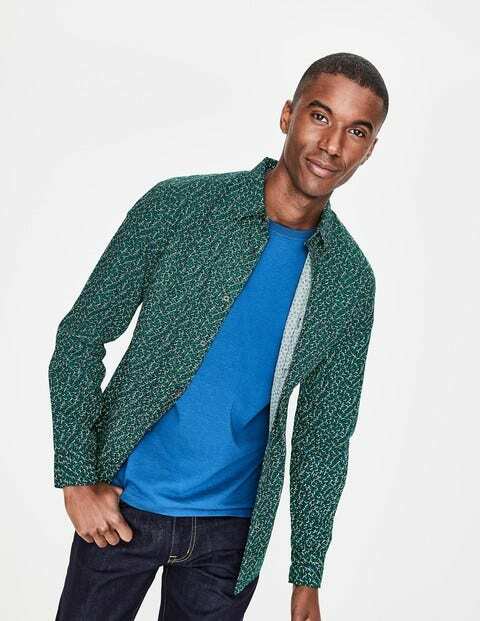 Our in-house designed prints deserve attention, which is why we've paired them up with this wear-anywhere shirt. We've scattered a playful floral pattern across the touchably soft cotton twill fabric – fun enough for weekend lunches, but perfectly smart and subtle for the office. The shape is slim-fitting and tailored with a little extra room across the body. Layer it under a blazer for a dinner date, or team with jeans and trainers on casual days.